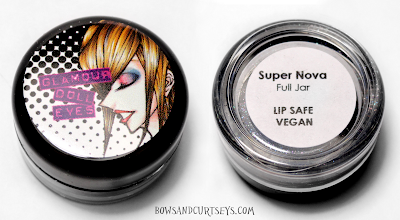 Exciting Announcement - SUPER NOVA, my very own Glamour Doll Eyes eyeshadow! Back in April, I got an email from Glamour Doll Eyes. They invited me and nine other beauty bloggers/vloggers to create our own eyeshadows for their upcoming Blogger Collection (which will also be part of their permanent line)! How I could I refuse that?! I immediately said yes. Needless to say, I was ecstatic! I love the brand and I have always wanted to create my own eyeshadow ever since I can remember.They gave us complete freedom to create what we wanted. Of course, I wanted to create something that I would wear often, and something the reflects my personality and who I am as a person. These are the promo cards featuring myself with the other lovely bloggers/vloggers! Here is a look I created featuring Super Nova, along with other lovely Glamour Doll Eyes shadows! Super Nova is a deep, matte black with multi-colored shimmer (aqua, green, purple, red and silver). The matte black base makes the glitter sparkle like crazy, and it resembles a galaxy. It's smooth, pigmented and rich, especially over a dark base. I am so happy with the turnout of my shade, and my friends and family love it as well. I can't stop staring at it! 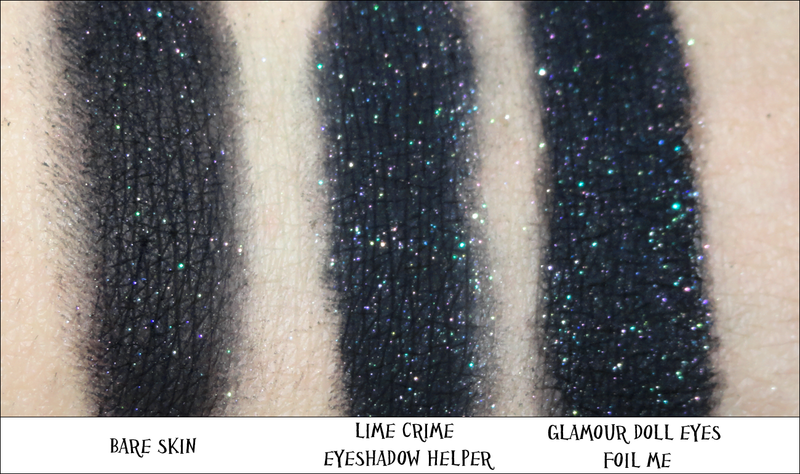 Since this shadow has lots of sparkle, it's definitely a shadow you want to pat on with a sticky base (like GDE's Foil Me, or Lime Crime's Eyeshadow Helper) to see it's full, gorgeous potential. Glamour Doll Eyes sent me a few extras of Super Nova to giveaway, so be on the look out for that! I really hope you all love my shadow as much as I do, and that you enjoyed the look and swatches as well! If you are interested in purchasing Super Nova, or any other shade(s) in the collection, they will be available July 10th, 2012 over at glamourdolleyes.com. Check GDE's Facebook and Instagram for up-close photos of all the shades in the collection; they will be posting all them over the next two weeks. I would like to thank Glamour Doll Eyes for this amazing, and once in a lifetime opportunity. You guys had the option to pick many other bloggers out there instead of little ol' me, so I am extremely honored and proud to be a part of this! I'm ecstatic to be immortalized into an eyeshadow! I hope you guys are doing well and are enjoying your summer (or winter) so far! Take care, and I'll see you all soon! Congrats! It's so you. And a gorgeous colour to boot. Also, the look is absolutely stunning! Congrats!! That's so exciting! Thar shade us amazing & so reminds me of a super Nova & your style. Well done! Wow I love this look. CONGRATS on getting your own eye shadow, thats amazing!!! this is a beautiful color!!! This is so cool!! Great color :-) You wear it very well, too! Very pretty, but it looks exactly like Sugarpill's "Stella". Absolutely love it! The sparkles are crazy gorgeous with the black!!! I want it soo bad. It's beautiful. And it looks amazing on you too, if I might add. Beautiful color, it definitely suits you! This is gorgeous! I'd love to be more explorative with my makeup but I just don't know how or what to do! wow what an amazing opportunity! Love the sparkles in this, totally gorgeous, I can see why you chose it! I noticed it said lip safe.. hmm I wonder how this would turn out as a lipstick! This is a fantastic night time look. The colors are so deep and dramatic. I really love the color combos you presented. Your eyes are just gorgeous. Love the colors you have used dear. PS: take a look at my blog for a giveaway. Oh my gosh! I don't think I've ever seen a prettier color! you are so lucky you can pull it off, I couldn't in a million years, I love how you came up with it too! Please follow your new follower! You're too sweet, thank you!! Hey there ! 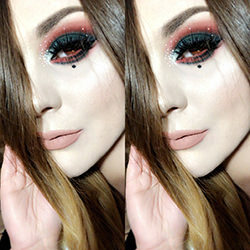 I know you from MakeupBee. 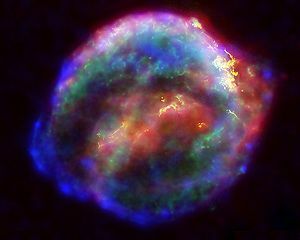 :) Today I'm wearing your Supernova look and it rocks. Just dropped by to say thank you for the inspiration. It is just for fun for the promotional pictures. For real swatches were using the actual photo. They're supposed to look like cartoons. Sorry, my designer does it a lot and I didn't know people didn't like it. I'm so happy you got to create a color!! I ordered the sample pack of all the blogger shades and I can't wait to get it!! Congratulations!! Congratulations (is quite late, I know...), I simply love it!